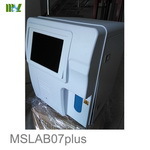 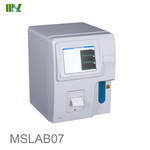 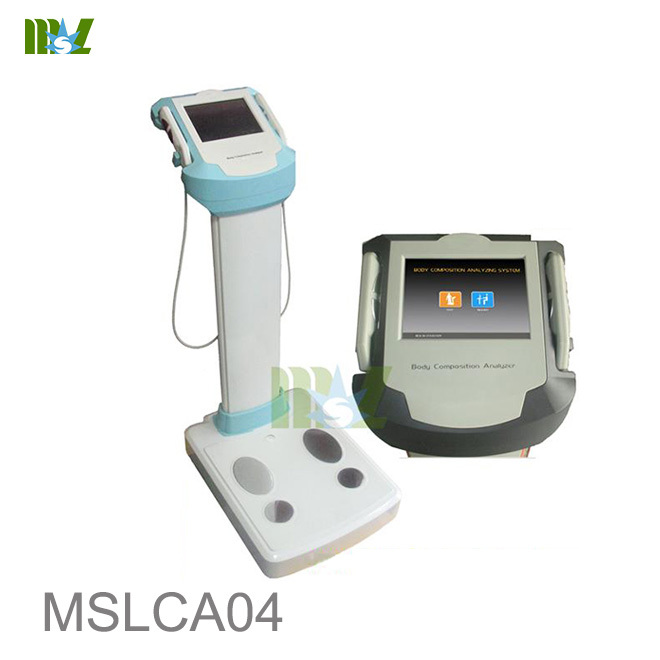 With 5 testing frequencies, MSLCA04 is with great accuracy, high correlation with MRI & DEXA. 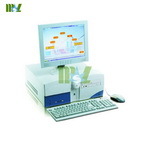 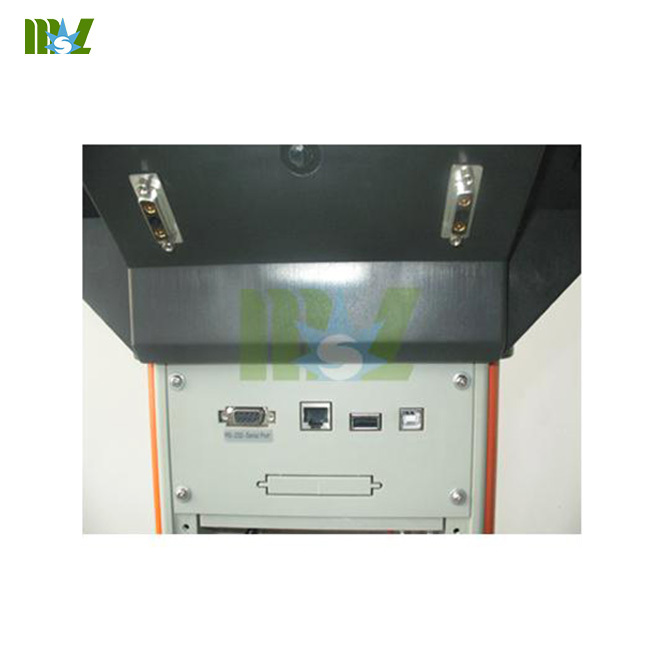 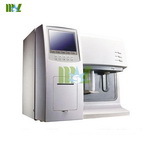 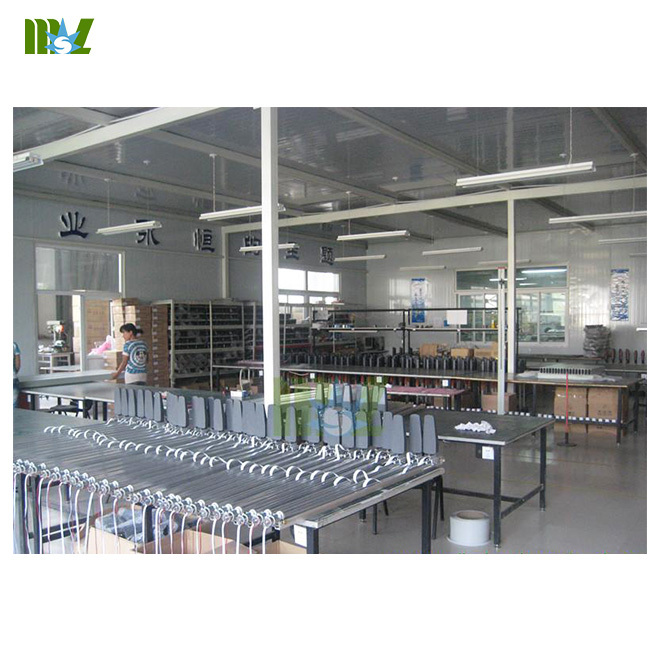 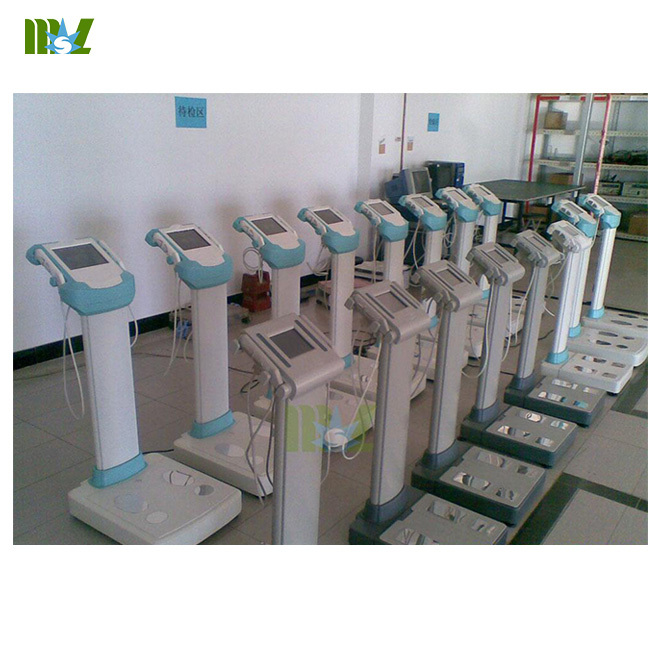 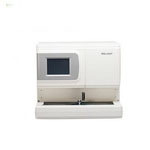 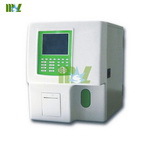 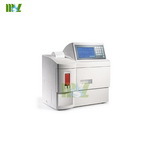 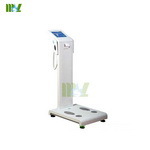 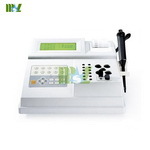 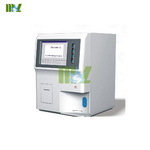 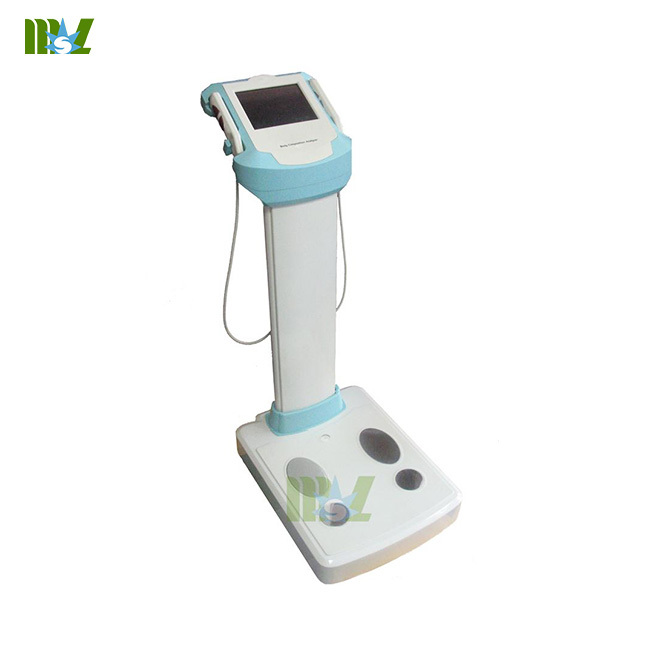 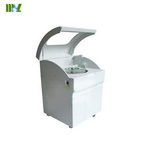 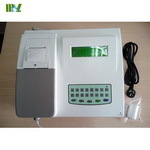 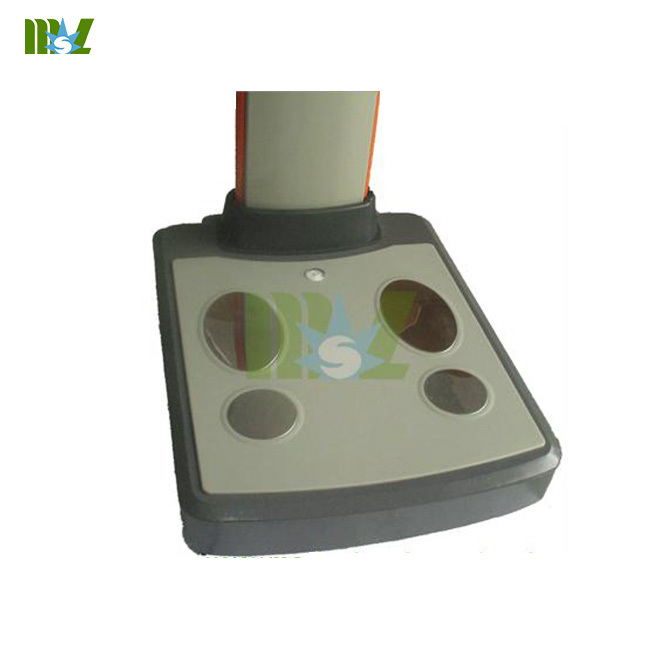 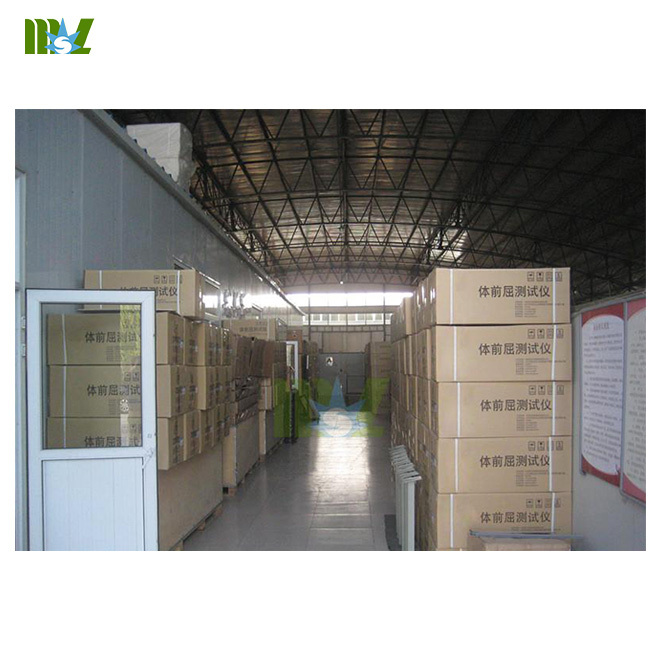 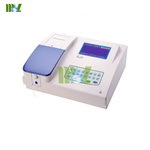 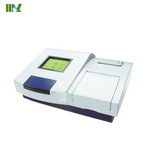 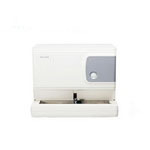 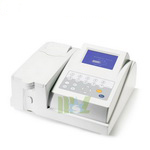 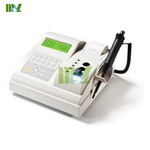 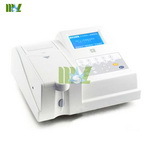 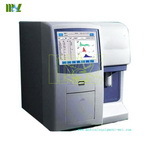 lt's a reliable machine to be used in medical or health care applications. 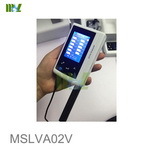 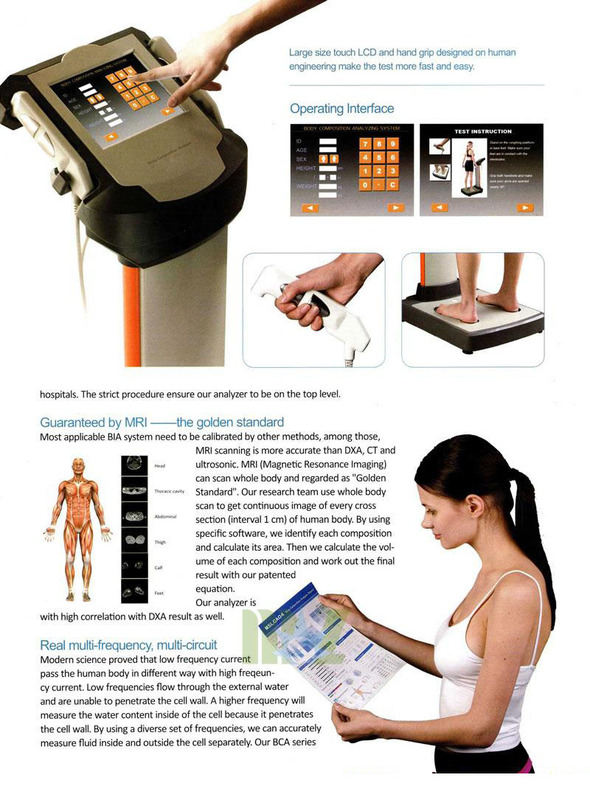 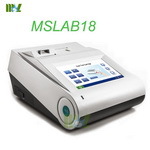 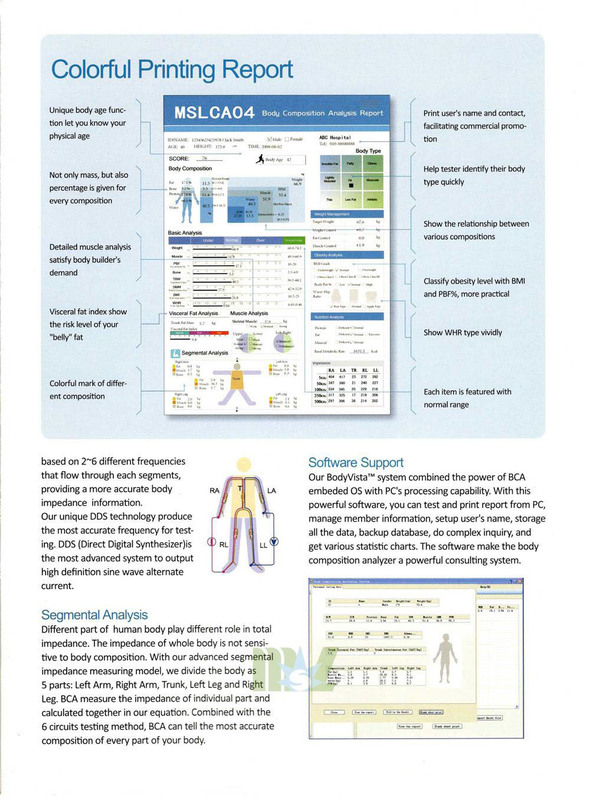 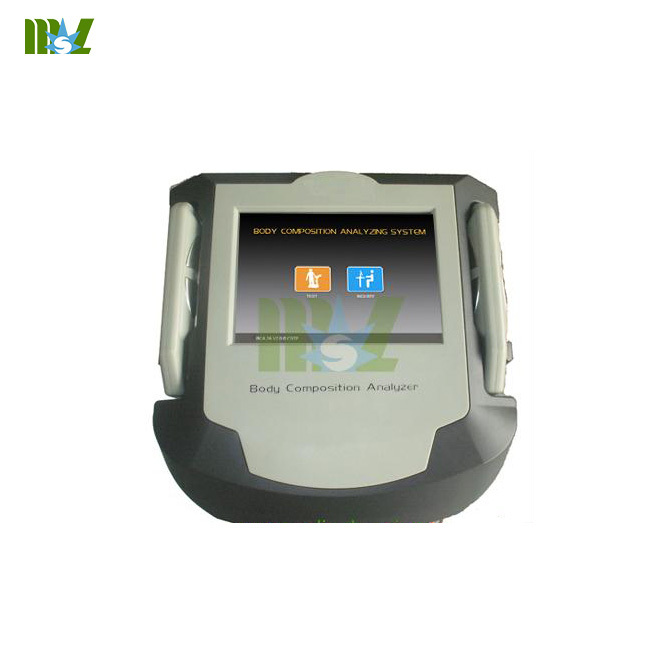 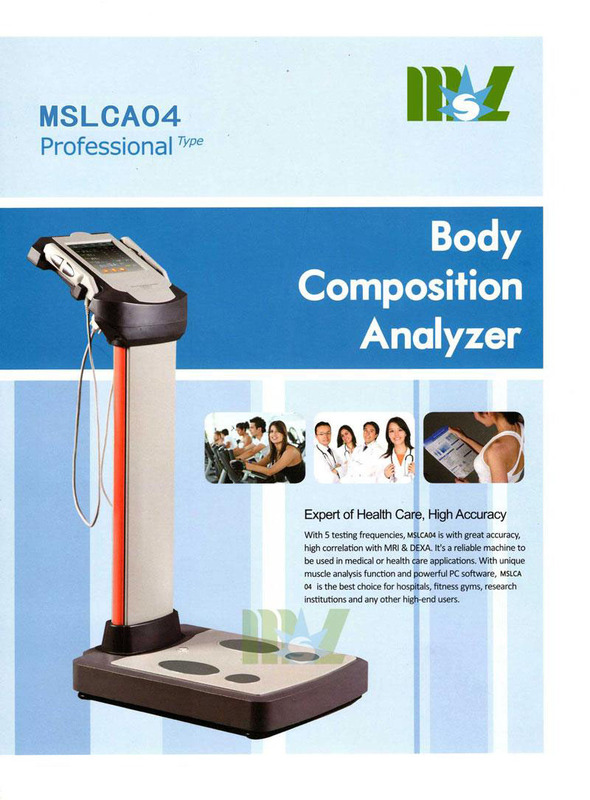 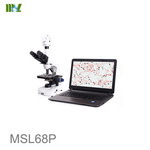 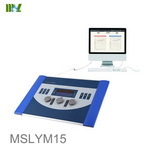 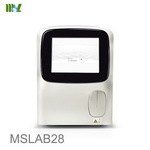 With unique muscle analysis function and powerful PC software, MSLCA04 is the best choice for hospitals, fitness gyms, research institutions and any other high-end users. 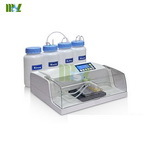 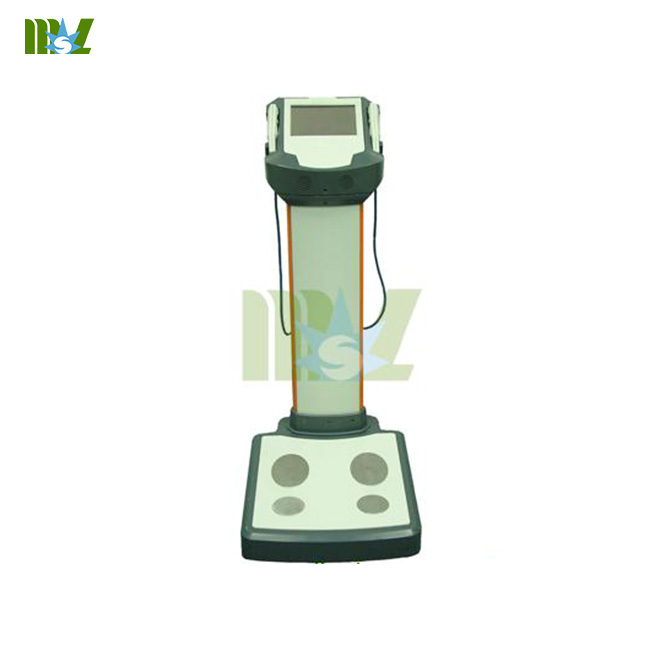 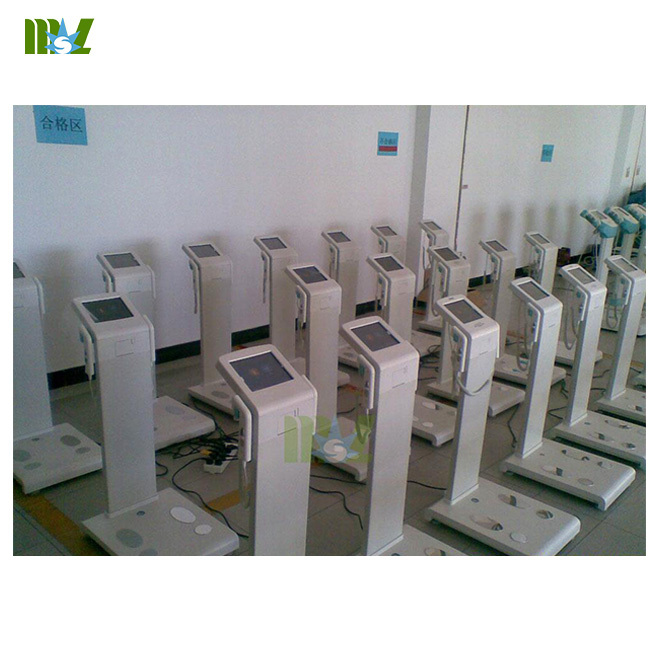 5 testing frequencies Measurement of Interacellular Water and Extracellular Water Detailed muscle and fat. 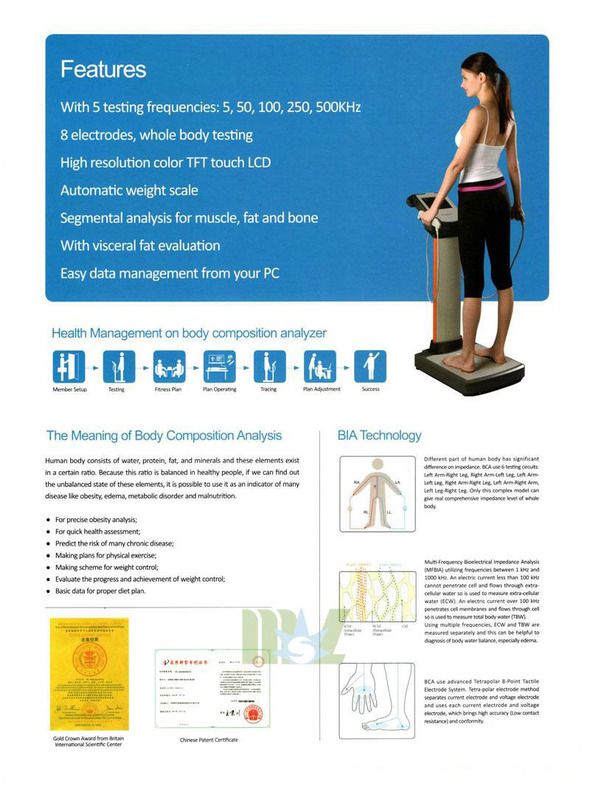 • Basic data for proper diet plan.